On average, women must work 15.5 months to make what a man does in 12. That’s why we’re marking #EqualPayDay this Tuesday April 9, 2019.
discrimination, including scrapping the $15 minimum wage and putting the hard fought for Pay Transparency Act on hold indefinitely. 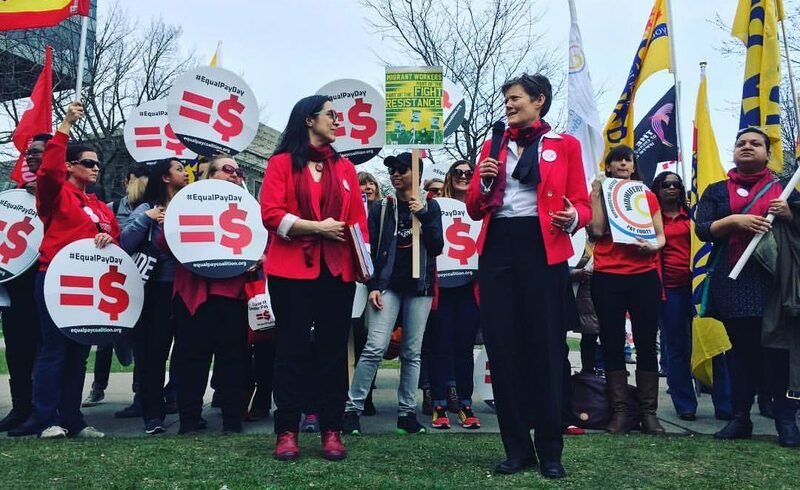 On Equal Pay Day, Coalition supporters are organizing targeted actions at the offices of local MPPs and Ministers all over Ontario. Each Minister listed below can play a key role in the closing the gender pay gap and the Equal Pay Coalition wants to hear the Ministers’ plans to close that gap. Not in one of these constituencies? Visit, call, email, and/or tweet your MPP or hold a community leaflet to call on the Ontario government to close the gender pay gap. Email equalpaycoalition@gmail.com for more information on any of these events.